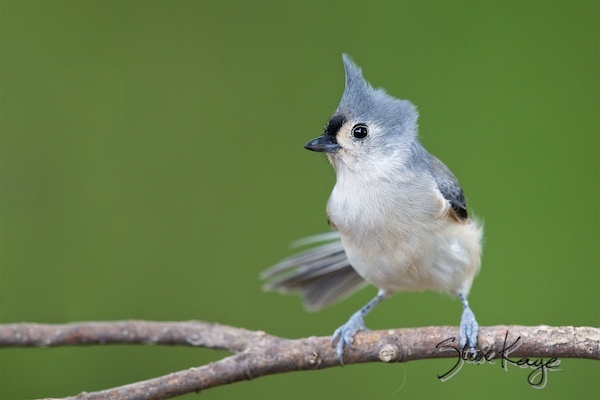 Have You Ever Wondered Why the Tufted Titmouse Is a Good Bird? 21 Sep Why Is the Tufted Titmouse a Good Bird? Most likely everyone is talking about the Tufted Titmouse. And if not, maybe this post will start the conversation going. Here’s why: I think the Tufted Titmouse is a good bird. Next it performs amazing feats, such as splitting acorns by hammering on them with its bill (while holding the nut with its toes). And like many birds, it helps rid gardens of insects, spiders, and other bugs. So this bird is hard at work catching pests. If you live in the eastern United States, you might see this bird. Although it lives mostly in forests, it also thrives in urban areas, especially where people set up bird feeders with seeds and small fruits. The Tufted Titmouse is a cavity nester. Thus it builds its nest in old woodpecker holes, tree cavities, and (even) nest boxes. Notice that this bird works to maintain a balanced ecosystem. And it’s doing that because its survival depends upon having a place to live. Thus, we might conclude that the Tufted Titmouse is good bird because it cares for the environment that it depends upon for its existence. Now imagine what people could accomplish if they lived like this. They might conserve resources, manage waste, and practice compassion. Then we could write articles about people who lived like a good bird. Want to be a good bird? Why: Many birds build nests in tree cavities and old woodpecker holes. How: Leave old trees alone. If necessary trim only those parts of the tree that pose a hazard. Then leave the trunk and parts of the major branches. Here’s an organization that’s working with the tree care industry to preserve old trees: The Cavity Conservation Initiative. Their web site contains valuable information about old trees and cavity nesting birds. Two of my photos appear in the Peterson Reference Guide to Woodpeckers of North America, by Stephen Shunk. See the book at: Woodpeckers of North America. 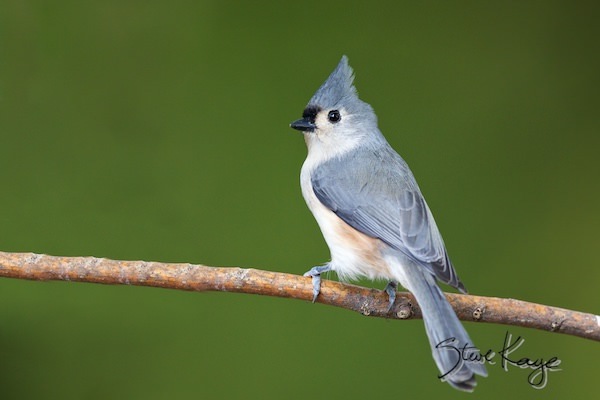 How about coining a new phrase – cute as a Tufted Titmouse! Maybe not.